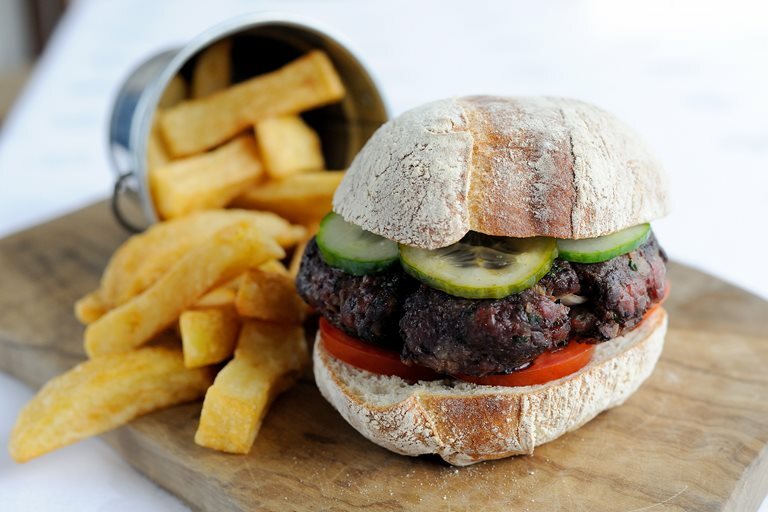 Venison makes a superb alternative to beef in burgers, as the rich gamey flavour holds up well against the additional flavours, toppings and sauces served alongside. Josh Eggleton adds extra taste to his burgers with fresh coriander and parsley, a little cumin and some streaky bacon. Some crunchy pickled cucumber, crispy chips and fluffy ciabatta buns complete this classic comfort food.